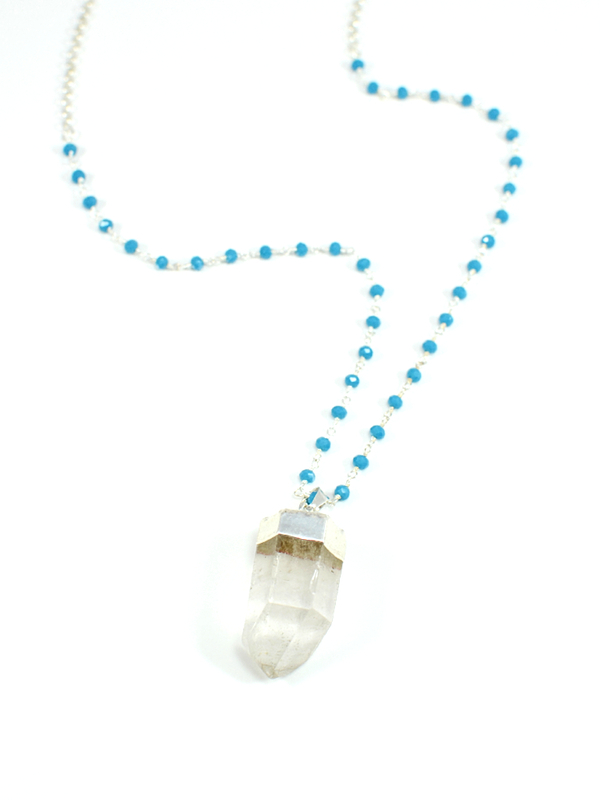 This 28 inch gold rolo necklace with wire wrapped gemstone rondelles in Grey Chalcedony showcases a beautiful raw crystal point pendant. 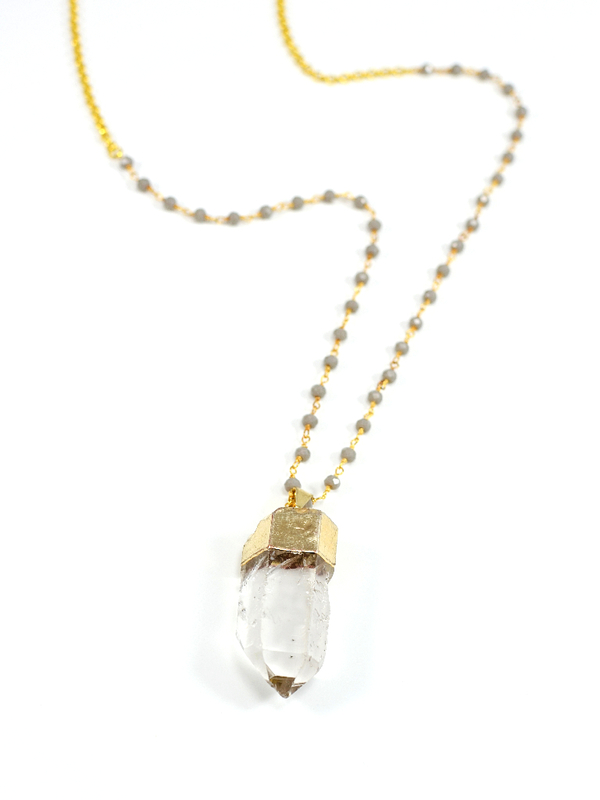 This natural quartz point has a gold dipped and plated top and bail. This 28 inch gold rolo necklace with wire wrapped gemstone rondelles in Blush Chalcedony showcases a beautiful raw crystal point pendant. This natural quartz point has a gold dipped and plated top and bail. 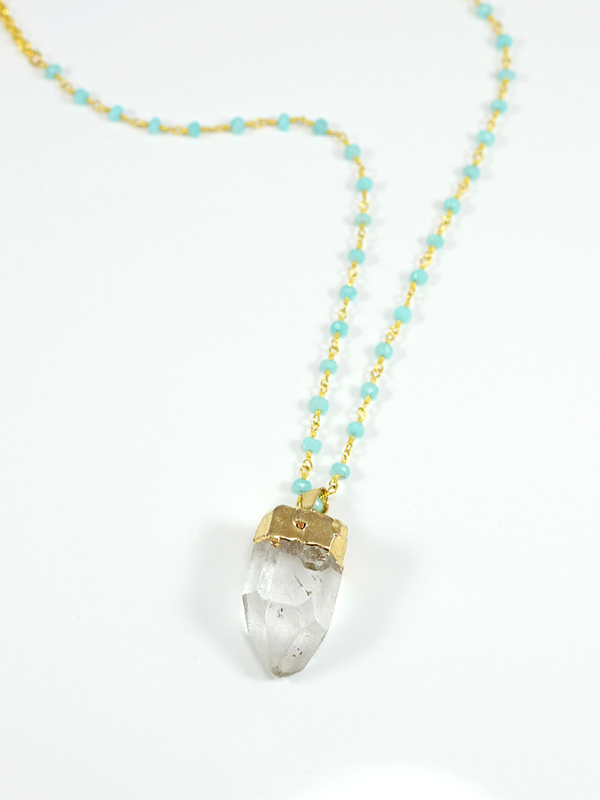 This 28 inch gold rolo necklace with wire wrapped gemstone rondelles in Aqua Chalcedony showcases a beautiful raw crystal point pendant. 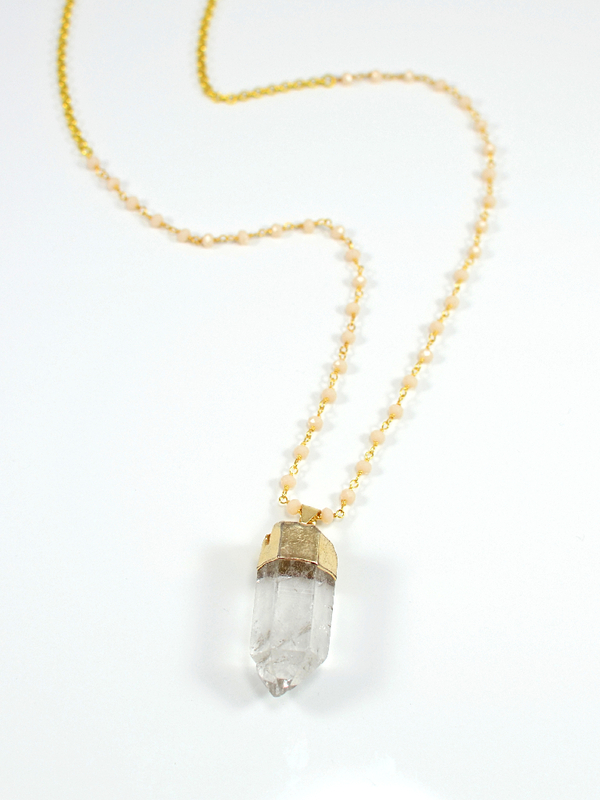 This natural quartz point has a gold dipped and plated top and bail. 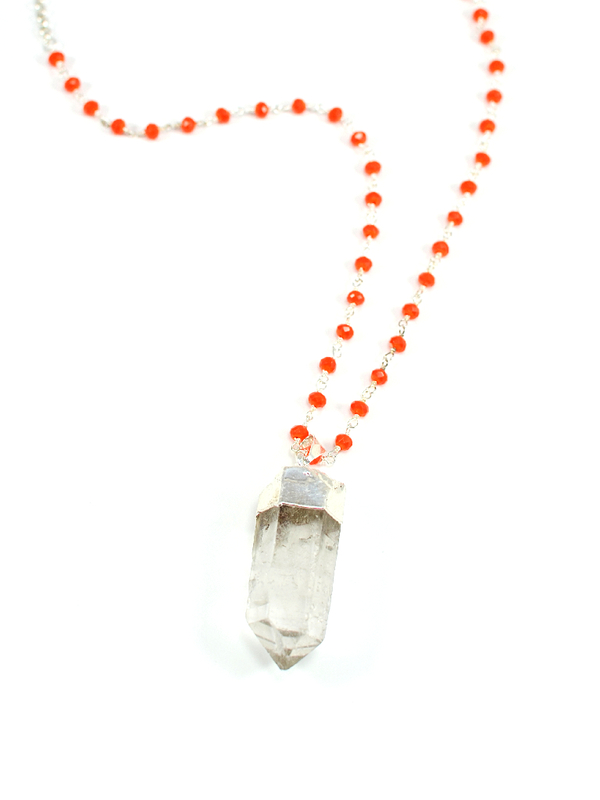 This 28 inch silver rolo necklace with wire wrapped gemstone rondelles in Taiwan Coral showcases a beautiful raw crystal point pendant. This natural quartz point has a silver dipped and plated top and bail. This 28 inch silver rolo necklace with wire wrapped gemstone rondelles in Blue Chrysocolla showcases a beautiful raw crystal point pendant. This natural quartz point has a silver dipped and plated top and bail. 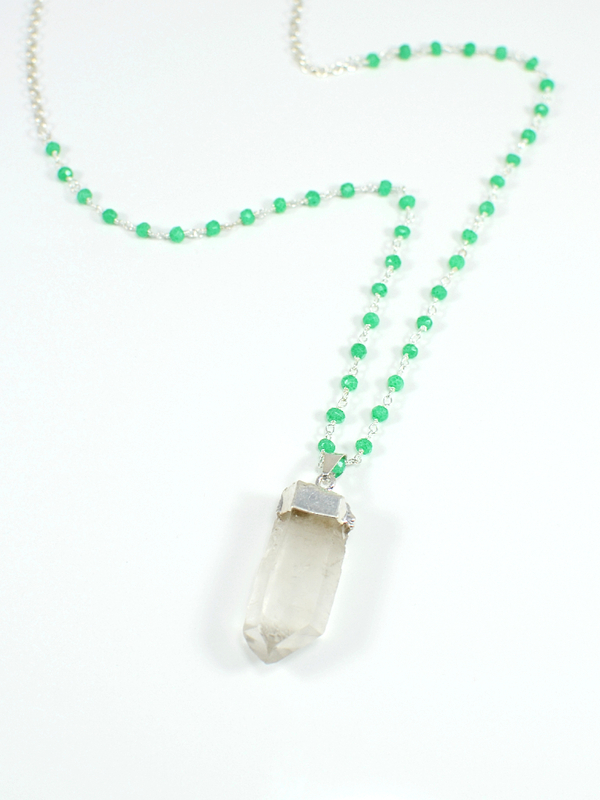 This 28 inch silver rolo necklace with wire wrapped gemstone rondelles in Green Chrysoprase showcases a beautiful raw crystal point pendant. This natural quartz point has a silver dipped and plated top and bail.